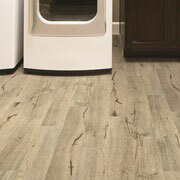 At ProSource® of Mobile you’ll find a wealth of flooring options encompassing carpet, wood, laminate, vinyl, and tile. With an abundance of flooring styles, colors, sizes and shapes available, there’s a perfect choice to be found for whichever space your home remodeling project is addressing, indoors or outdoors. Plus, budgets go further due to our low, wholesale pricing (meaning no retail markups). Carpet flooring is a classic choice in any home. It’s warm, inviting, and welcoming. Whether the need is a durable style for a high-traffic family room or a designer look for a home office, you’ll find what you need at ProSource. 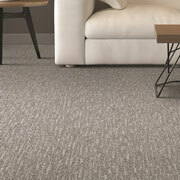 From solids to patterns, nylon to wool, wall-to-wall to custom-bound area rugs, carpet remains a top flooring choice. Hardwood is a timeless choice for any home improvement project. The looks can span from traditional to trendy, whether engineered hardwood or solid wood, with species such as oak, cherry, hickory, maple, and more. Regardless, the charm of this flooring has endured. 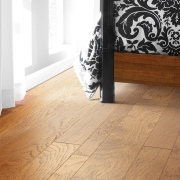 For a stylish yet durable flooring solution, laminate flooring is a great choice. 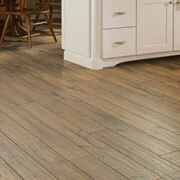 It can mimic the look of hardwood or tile at a lower price. The variety of styles, designs, and colors make it an appealing option for many rooms in the home. It’s hard to beat the allure of tile flooring. It’s versatility stands out, because tile provides options for the floor and the wall, for both inside and outside the home. 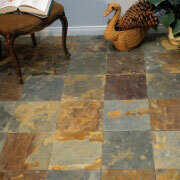 Because of its multiple sizes, shapes, colors and textures, tile is a magnificent choice. Vinyl has evolved in it’s available options and, as a result, has grown in popularity. Sheet vinyl is more durable than ever, and comes in a variety of patterns and styles. Luxury vinyl tile (LVT) and luxury vinyl plank (LVP) have emerged as top choices due to their wood or tile looks and being able to better withstand moisture.